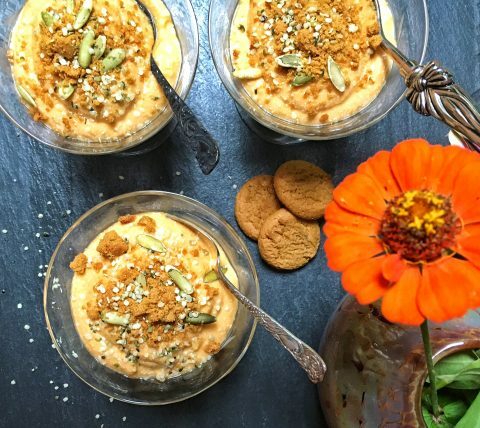 If you’re looking for a fall-inspired afternoon snack or special treat for after dinner, try my healthy pumpkin mousse makeover made simply with canned pumpkin puree, frozen banana for natural sweetness, low-fat cottage cheese, maple syrup, pumpkin pie spice, and a tasty topping of crushed gingersnap cookies, hemp seeds, and roasted pumpkin seeds. 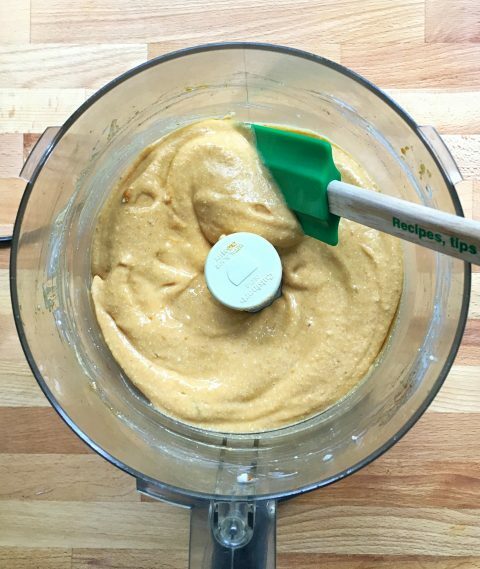 Healthy and delicious team up for this nutrient-rich pumpkin mousse. The secret ingredient is cottage cheese, delivering body, a luscious texture, and a healthy helping of calcium and protein. The “sprinkles” on top bring a hint of sweetness and lots of crunch to every spoonful. Brett and Ben are definitely NOT shy! 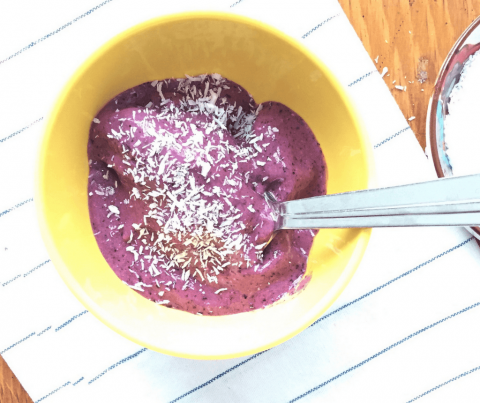 There are so many things I love about this healthy mousse. For starters, instead of the usual heavy cream, sugar, and egg yolks found in classic and oh-so-decadent mousse, my better-for-you dessert relies on cottage cheese and frozen banana for texture and sweetness. The pumpkin adds the fall flavors we all crave this time of year, and it delivers fiber and over a days worth of immune-boosting vitamin A. Every autumn, I get on a pumpkin kick that's hard to quit. 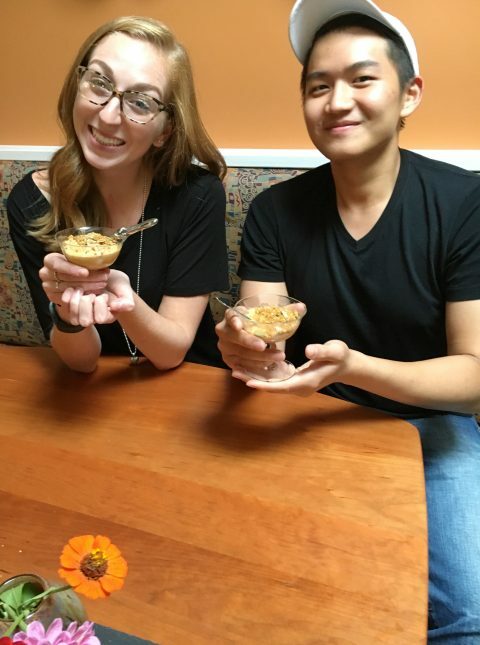 My latest recipe for healthy Gingersnap Pumpkin Mousse calls for canned pure pumpkin puree, low-fat cottage cheese (my secret weapon for lusciousness), a drizzle of maple syrup, a frozen banana for natural sweetness, and pumpkin pie spice. We decorate the top with a sprinkle of crushed gingersnap cookies, hemp seeds, and roasted pumpkin seeds. 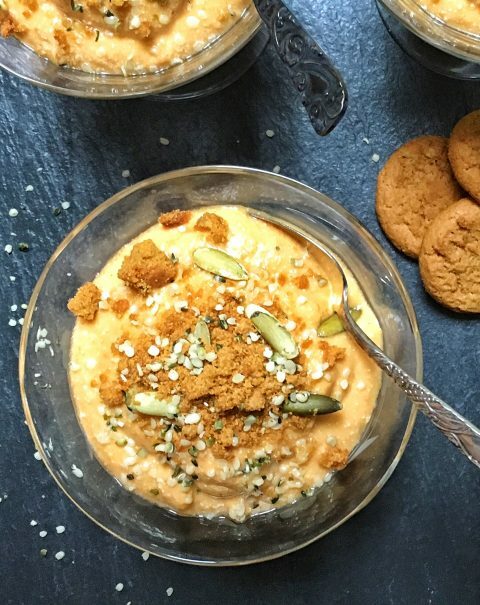 The seeds add a nice crunch to the creamy mousse. 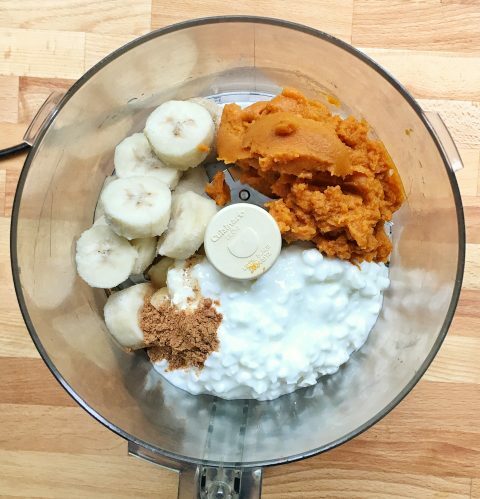 Place the cottage cheese, banana, pumpkin, maple syrup, and pumpkin pie spice in the bowl of a food processor and process 30 seconds. Stop and scrape down the sides of the bowl. Continue to process until smooth and creamy, about 1 more minute. The mixture should resemble mousse or pudding. Scoop the mousse into 4 bowls and sprinkle evenly with the topping. And my Frozen Wild Blueberry Pudding. 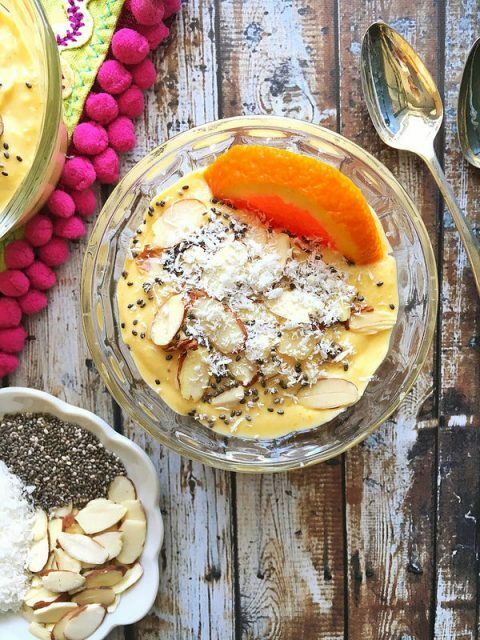 This sounds SO FANTASTIC I am absolutely going to make this to satisfy my pumpkin dessert cravings in a healthier way! Thank you! You are most welcome. 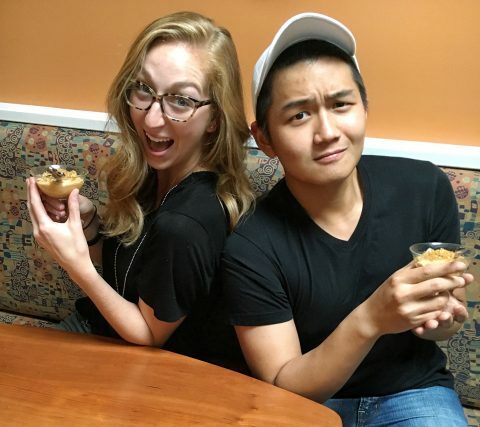 We love this recipe too! I enjoy your recipes. I will get your podcasts I also belong to Lose it. Now when I hit print for your recipe it doesn’t print. Help!!!! Hi Audrey: I’m on my Mac / Safari and the Print feature on the blog is working. What browser are you on? I’ll ask our web folks to look into this. For now, however, can you copy/paste the recipe into a Word document and then print that way? Not as easy, but a good workaround! Enjoy! !